Here is my drawing for a box to enclose a RAMPS1.4 stepper motor control board. If you don’t have any RAMPS1.4 boards… I guess you won’t be interested. You can cut these at Quelab from 3mm acrylic. Cut one copy as is, another copy without the little access holes for the opposing plates. 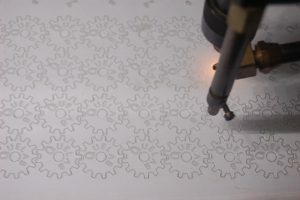 It is easy to delete items in LaserCut, harder to add them. You will need to add holes for fans, ventilation and cable routing. 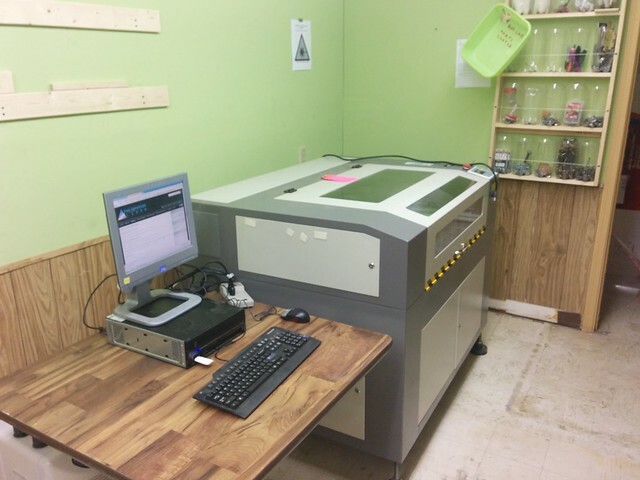 For those of you who didn’t make the general meeting on the second, Quelab has received a donation of a Laser Cutter! Based on our original expectations, it looked like a Full Spectrum laser, but on further research, it turns out it’s actually from g.Wilkie.